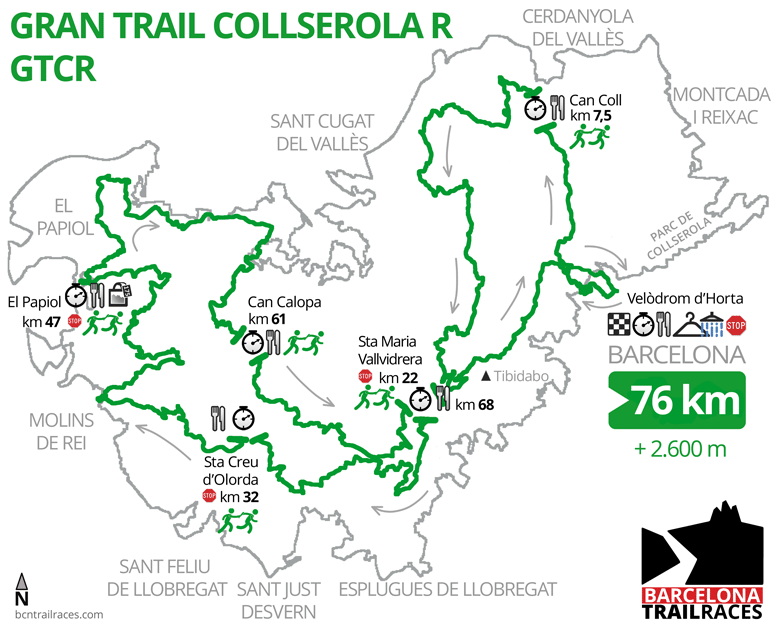 The GTCR (Gran Trail Collserola Relay) is a relay race, that follows the same GTC itinerary. Each team will have from 2 to 5 runners. The place where one runner can make the pass to another runner of the team will be only in the refreshment posts. Each runner will have his/her bib-number. The start of the relay race will be simultaneous with the GTC and with the same compulsory material check when entering the start corral. The team runners have to go and retunrn to/from the refreshment posts by their own means. The relay will be made within the refreshment posts in the enabled area and will consist of witnessing the crono chip and the GPS tracking device. A the refreshment posts, the runner can be requested to pass through compulsory material check before start running. Also at any point of route when requested by the organitation. In order to let the team cross the finish line all together there will be a place before the finish line were team can join the last runners for the last meters of the race. 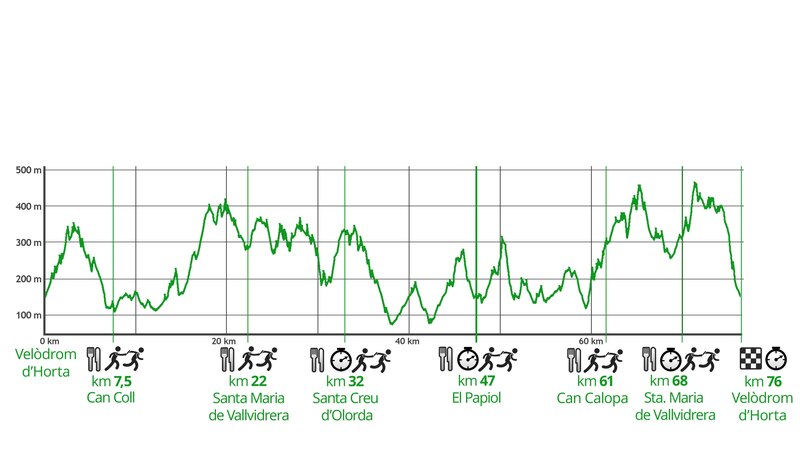 The route is the same as the individual Gran Trail Collserola (GTC) route. To consult and download the TRACK and PROFILE. See GTC route here (+).